has been released on May 8. Buy it online from CreateSpace, Amazon, Amazon UK or Amazon India (among others). This is a joint publication of Iqbal Academy Pakistan and the Cultural Institute of the Economic Cooperation Organization. The international edition has been brought out by Libredux UK. A Pakistan edition is expected by the end of May. Continued support will be provided to readers and those interested in Iqbal Studies through this website and the Facebook Page of the Book. Originally published on Marghdeen Learning Centre. The message of the Quran. The story of his mind, and what he taught, as told herein from a new and compelling angle, leads us on a trail of discovery towards a new way of life. You're invited to approach this as a handbook for implementing his life-giving ideas. The above-quoted blurb reflects the spirit in which my new book, Iqbal: His Life and Our Times, is being offered. The book is a tribute to Iqbal by ten sovereign states, since it is being published jointly by Iqbal Academy Pakistan and the Cultural Institute of the Economic Cooperation Organization, which is the successor organization of the RCD and now includes Afghanistan, Azerbaijan, Iran, Kazakhstan, Kyrgyz Republic, Pakistan, Tajikistan, Turkey, Turkmenistan and Uzbekistan. The international edition is being brought out by Libredux, UK, on behalf of the original publishers. It will be available from Thursday, May 8. It can be ordered from the page on the Createspace Website. It will also be available on other websites, including Amazon. The Pakistani edition is hopefully coming out by the end of this month. 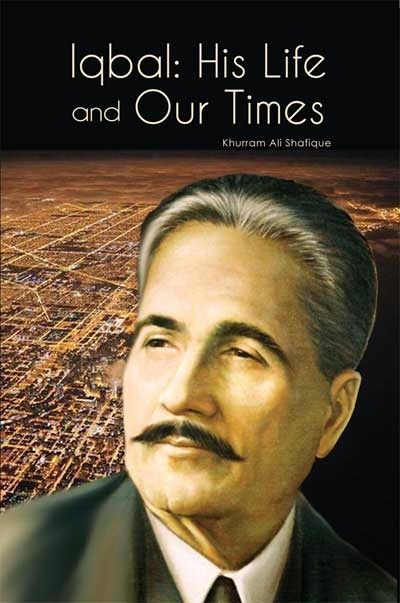 Much has been written about Iqbal but this book may turn out to be different (even from my earlier writings) because it presents Iqbal with a special focus on how his ideas can be implemented today - especially in Pakistan and the Muslim world, but also elsewhere - by individuals as well as societies. I have kept it less than 200 pages, so that it may serve as a compact handbook. Until the book comes out this Thursday, I offer you following introduction written by two people for whom I have deep respect and gratitude. It is shown here that the views expressed by Iqbal in his poetry and prose formed a coherent system of thought, and the same was implemented by him through political and social action. This is to dispel the myth which has been preventing a deeper understanding of Iqbal’s thought until now, i.e. the false but widely perpetuated assumption that the ideas presented by Iqbal were either inconsistent with each other or they kept undergoing such perpetual changes throughout his life that they cannot be considered for implementation in any other time. If nations of the world desire to come closer in their hearts and minds, they cannot ignore to learn about the ideas, emotions and visions of each other. The Economic Cooperation Organization’s Cultural Institute (ECI), formed through a charter at the third summit meeting of the countries of ECO held at Islamabad in 1995, aims at fostering understanding and the preservation of the rich cultural heritage of its members through common projects in the field of the media, literature, art, philosophy, sport and education.